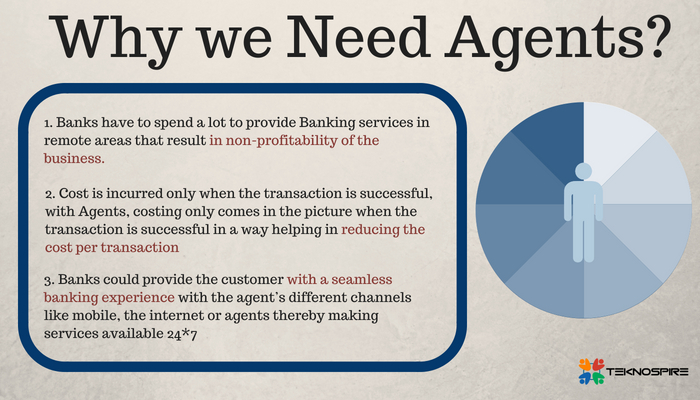 Agents are the face of change to people’s financial security and independence. 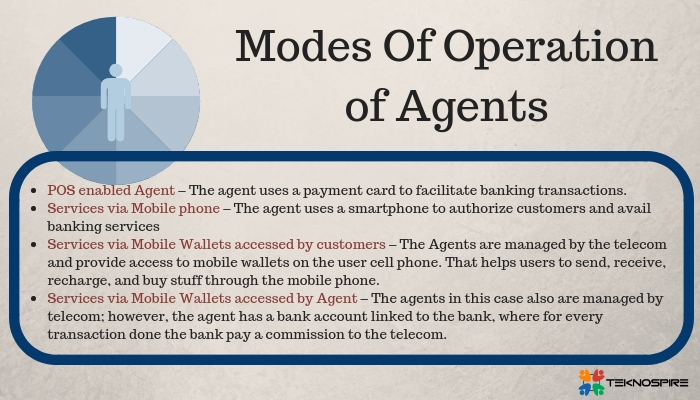 What is an Agent? What is a Business Correspondent? Why We Need an Agent? Come and signup for Teknospire Agent Banking Solution, and help in enabling financial and social inclusion. Stay Tuned as our next post would talk about various Banking services that could be availed by a rural customer via Agent Banking. Subscribe to our posts now. Also, if you would like to work as Agent, please sign up now here with NDASENDA. Teknospire is a technology partner for NDASENDA. 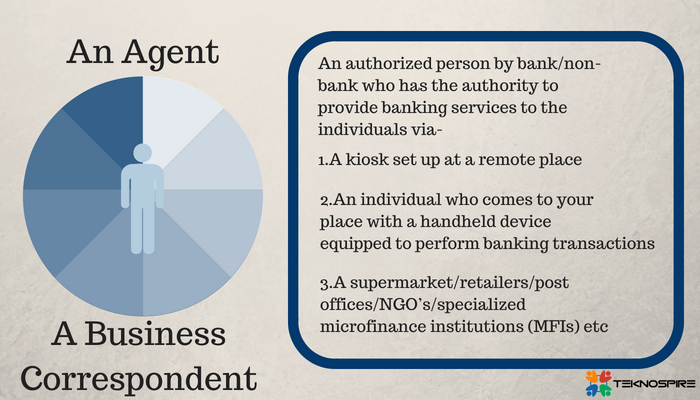 I fully agree that “Agents” enable Financial Inclusion. I had a chance to work in a remote district in Orissa, as a representative of a large public sector bank. Every villager trusts an educated person from the same village. They like to hear from him or her about the benefits of banking in their own language, as per the context, background and conditions prevailing in the village at that time. A remotely controlled online banking system popping up some promotional products on the website hardly has any penetration capability compared to the rich, face-to-face dialogue around a cup of tea in the village corner. We need to bring back the desire to use local captains to deliver the message over the last mile. Thanks a lot, Mr. Chandrashekhar for your response. So true, indeed the educated, authorized and informative individuals could build trust and help the rural people in managing their finances effectively. Would you be able to help us in collaborating with banks [you have worked] and help the rural people in raising their standard of living?